I don’t think this is where the letters will go. They’re too small for that big wall, right? And please ignore my curtains – we bought the wrong size of curtain rod at Ikea (my fault!) and have yet to make it back for an exchange. Despite being emotionally and physically exhausted this pregnancy (it’s my hardest one yet! 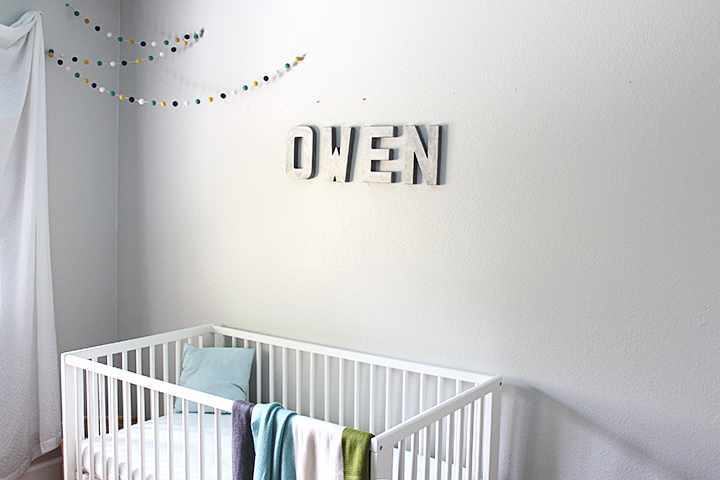 ), it’s been so much fun planning an actual nursery for baby Owen. 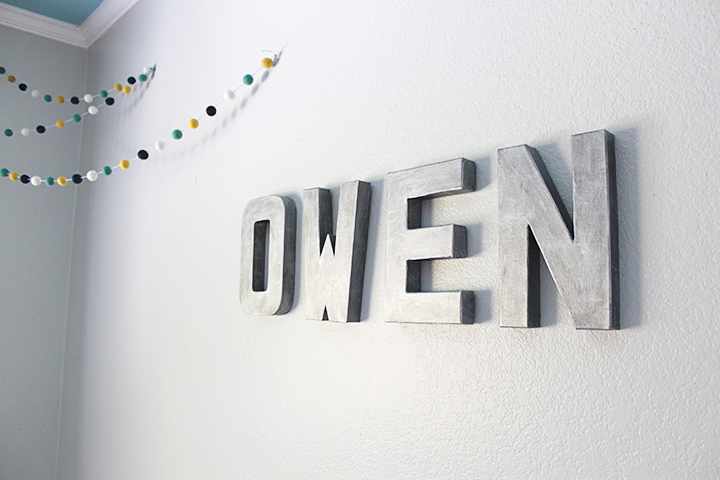 Jack’s nursery was definitely thrown together on our meager (read: zero-dollar) college budget, and while I’m still really proud of how it turned out, I wanted something new with this baby. But it turns out I’m still a tight-wad and will cut corners and reuse/recycle every chance I get. We are reusing a lot of things, like the rocking chair (but I’m reupholstering it; project update on that soon) and Jack’s blue dresser as our changing table. I did, however, convince Tyler to let me buy a new crib. I loved Jack’s crib (it’s a family heirloom – the same crib that my mom and 20+ babies in our family have slept in) but it isn’t the sturdiest anymore and because of its pack n’ play size he outgrew it by 18 months. We ended up with a popular budget-friendly option, the Ikea Gulliver crib. I’ll admit I did A LOT of research before we bought it (we all know Ikea furniture isn’t built to last) but so far am so so impressed with the quality and sturdiness of the crib and it did get really high reviews everywhere I read. Jack loves it when I put him in it for a test run. Actually, he could easily still sleep in it with room to spare. 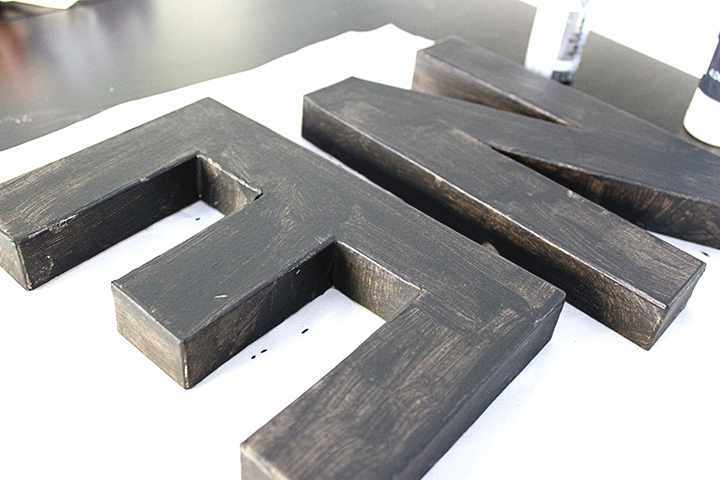 Step 1 | Paint your letters black. I used a thin coat because I was okay with some of the brown color of the cardboard showing through in my final project. Step 2 | Let them air-dry, or optionally, paint a second coat of black. 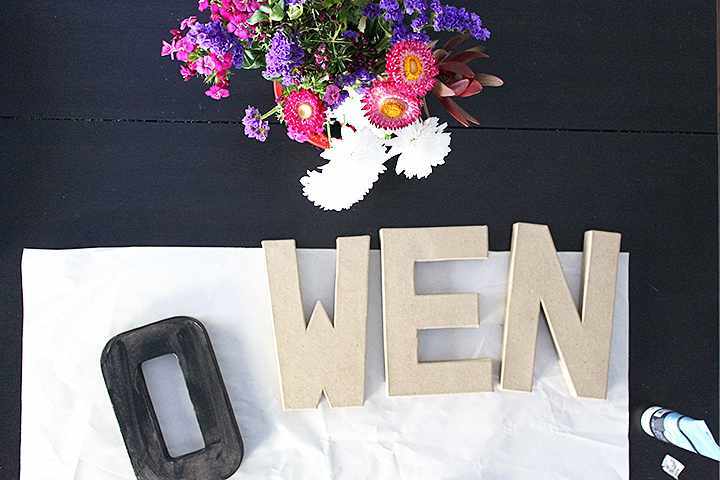 With one thin coat, my “O” was dry by the time I finished painting the “N”. 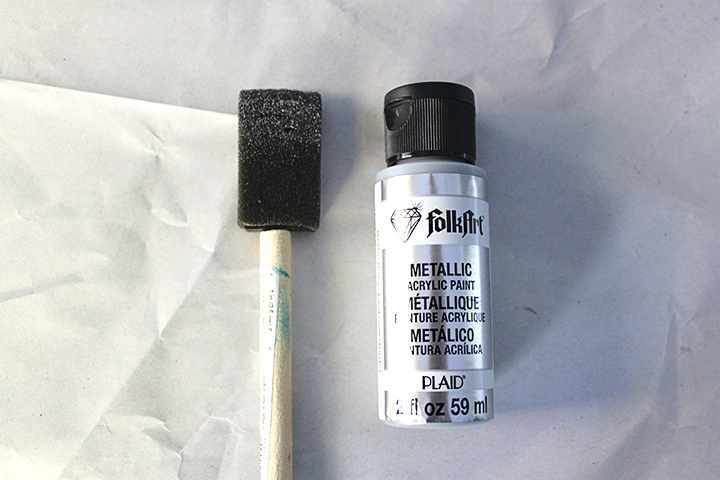 Step 3 | Using a paint brush or foam brush, paint a very thin layer of silver over the black. Step 4 | You should still be able to see some of the black showing through. I made my paint job a little messy to mimic brushed, old metal. 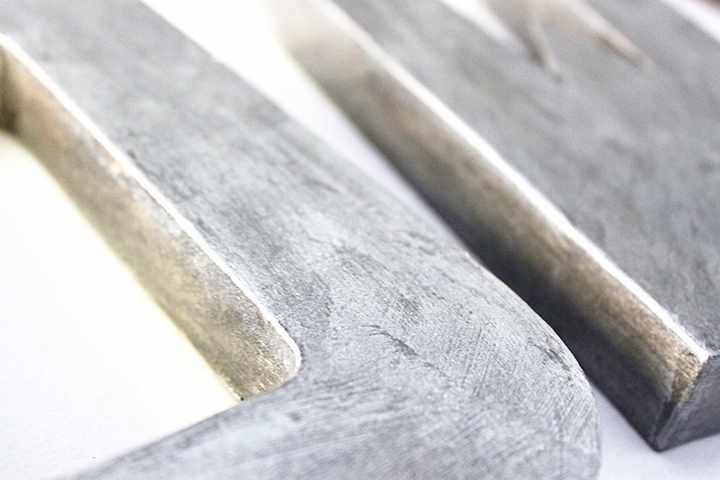 Step 5 | After your silver is thoroughly dry, you have the option of painting a second coat. 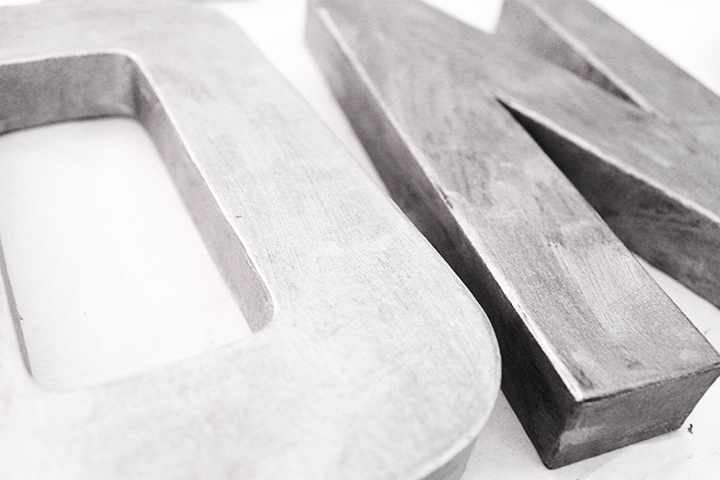 Above you can see a comparison of two coats (left) versus one coat (right). 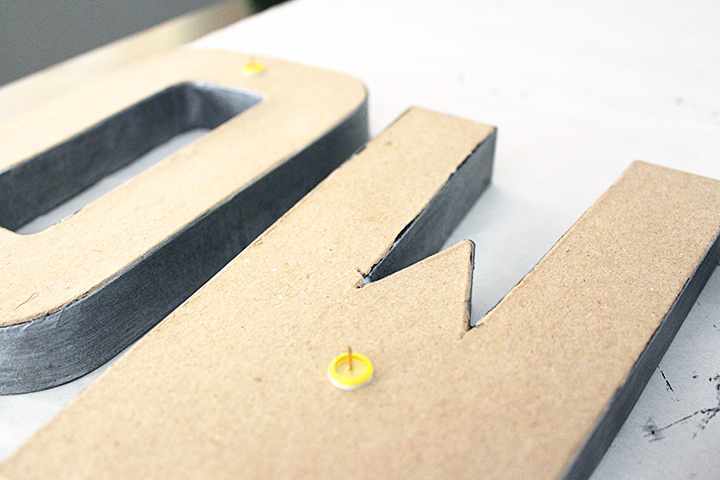 Step 7 | When the glue is completely dry, hang your letters and enjoy! Awesome! They look great. Cool to see Jack’s nursery, too. That crib is so great.